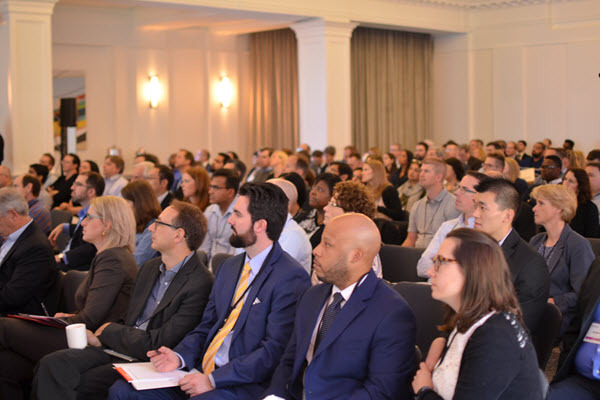 June 8, 2017 (San Francisco, Ca) - Planisware, the leading global provider of Project and Product Portfolio Management (PPM) software solutions for new product development (NPD), R&D, and engineering organizations, recently held its annual user summit at the Warwick Rittenhouse Square in Philadelphia. Nearly 250 PPM professionals spanning across more than 80 organizations attended the annual two-day event – making it Planisware’s largest North American user summit to date – to discuss best practices and the different ways they leverage Planisware software to optimize their PPM processes. This year’s conference kicked off with a presentation by Planisware Group CEO and co-founder Pierre Demonsant, who discussed the company’s recent accomplishments – noting a 164% surge in SaaS implementations in 2016 – and product roadmap, and his vision for Planisware’s future. Mark Miller, Director of Client Services, followed Pierre’s presentation with a demonstration of new functionalities and enhancements in Planisware V6.2, including integrated Agile capabilities, numerous enhancements to Planisware Explorer – Planisware’s embedded business intelligence tool – and Planisware’s collaboration tool, Workbox. The two-day conference also included sessions with several Planisware Center for Excellence thought leaders, including Dr. Richard Bayney, Dr. Ken Huskins, Mike Wiebe, Paul O’Connor, Dr. Michael Menke and Dr. Kenneth Kahn; a “Fireside Chat” with Forrester Research VP and principal analyst, Margo Visitacion, during which she discussed trends in PPM; six interactive group discussions; 12 software-focused workshops; and several hours of networking. For more information about the user summit, please visit www.planisware.com/plus2017-philly.